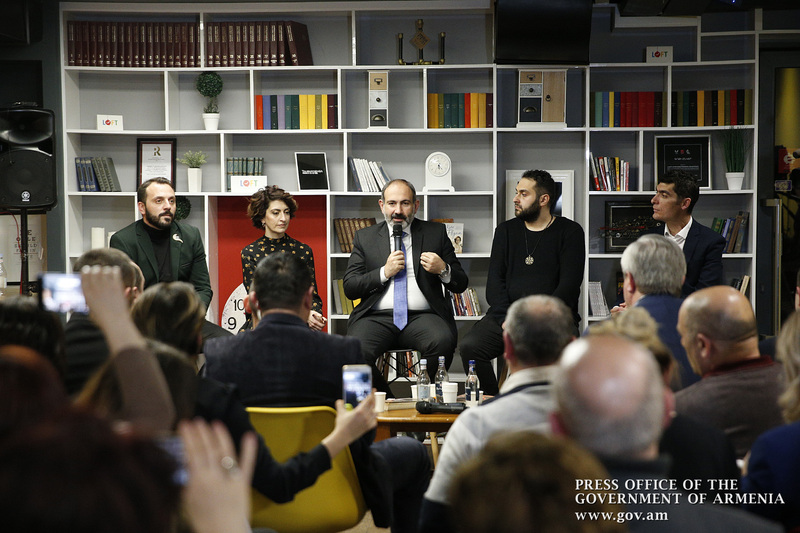 Prime Minister Nikol Pashinyan participated in a discussion of his book, entitled “The Other Side of the Country,” which was held at the Loft self-development center in Yerevan. 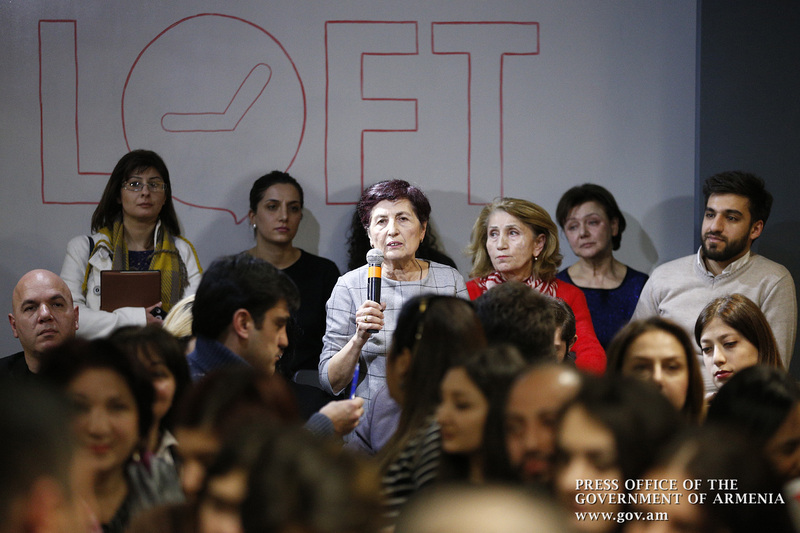 The discussion was initiated by Antares publishing house and Loft self-development center. 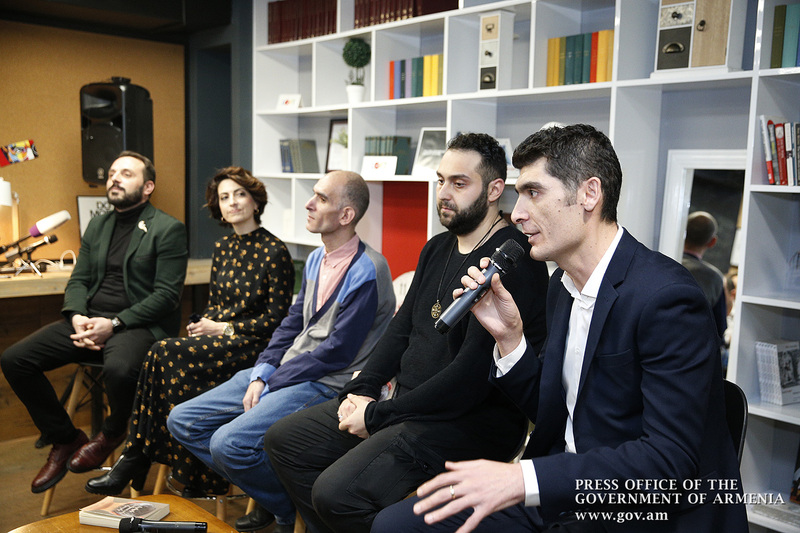 The keynote speakers - literary critics Alvard Semirjyan-Bekmezyan and Hayk Hambardzumyan, journalist and poet Mher Arshakyan and prose writer Grig, as well as literary critic, editor of Antares publishing house Arkmenik Nikoghosyan came up with their comments on the book, its structure and impact, as well as its fiction and the literary and political significance. 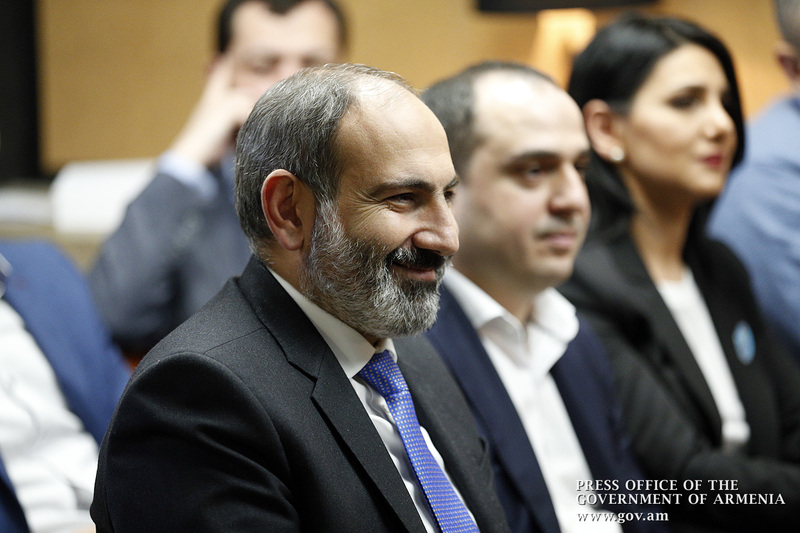 Prime Minister Nikol Pashinyan thanked the speakers for their comments. 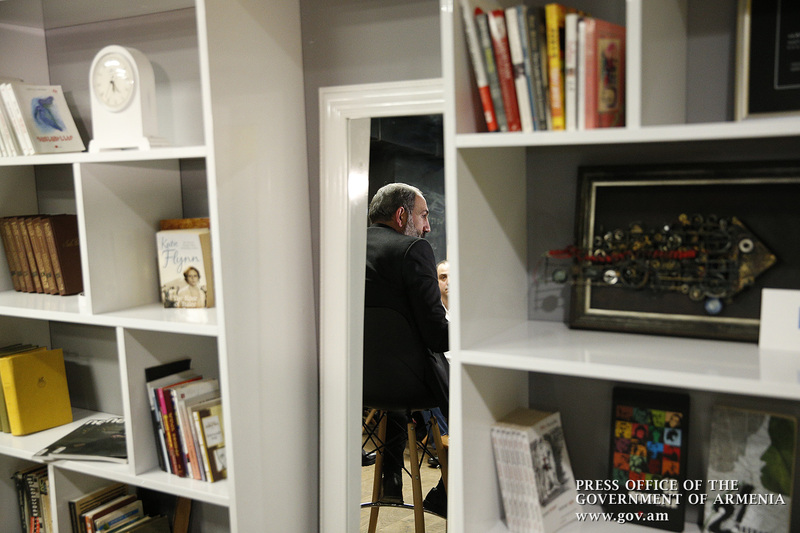 He qualified them as complementary and introduced the book’s background history and its motives. 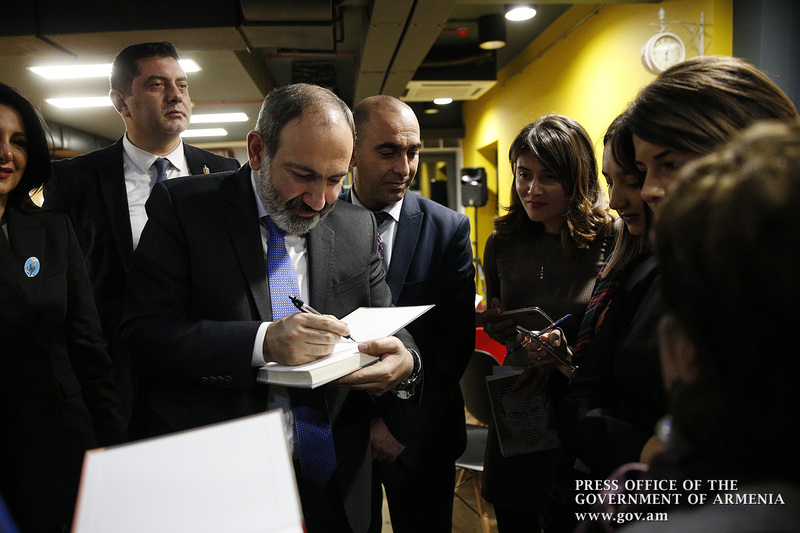 “Today I have decided to open the entire context of the book’s conception and its future destiny. When I was in hiding, I found myself in a place where I could be in close touch with the outside world. Hakob Simidian used to call on me every day and brief me on what was going on and what people talked about. I heard people say that I had found refuge at one of foreign embassies, but I was mostly said to be in Dubai, Athens, and so on. At that time, there were publications in the press to the effect that the National Security Service was instructed not to arrest me, but to physically destroy me for showing armed resistance. This was a situation that made me think of the following: If I happened to be killed by security services, what people would think of it; they might wonder what I had in my mind and why I had entered the politics, just because the political texts and speeches were not profound enough as they had to do with the current situation, and secondly, I realized that if the law enforcement authorities were convinced that I was in Armenia or in Yerevan, they would definitely find me. Then I had the idea of writing a series of articles, which would distract them from the right path. These were the two motives behind my initiative. Why on the opposite side? The whole meaning of the scripture is that if you have noticed, I am walking to Liberty Square from Myasnikyan statue. The whole idea is to move from Myasnikyan’s statue to Liberty Square so that you do not go back the way you go, that is, always go forward so that there is nothing in your steps to remind of going back. 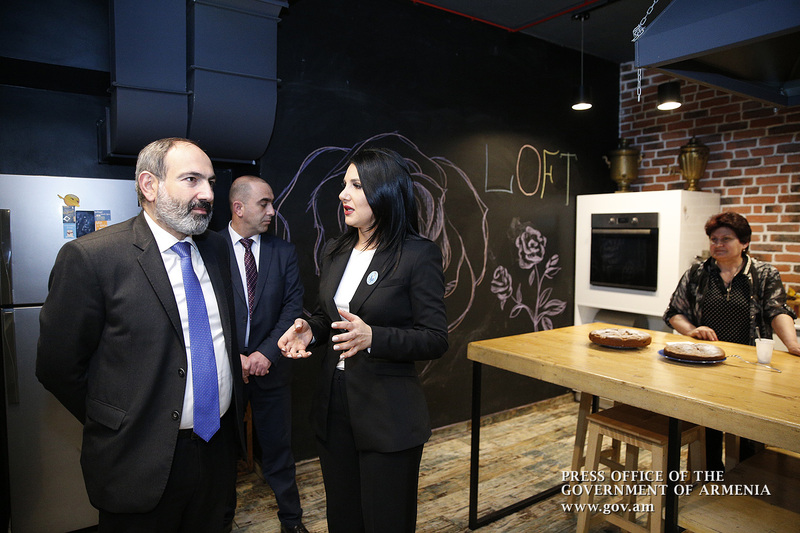 Secondly, by leaving you take on the stance of a wanted person who quits his homeland, who escapes himself, that is to say I had to make believe that I had left Armenia, but did not do so as a matter of fact. 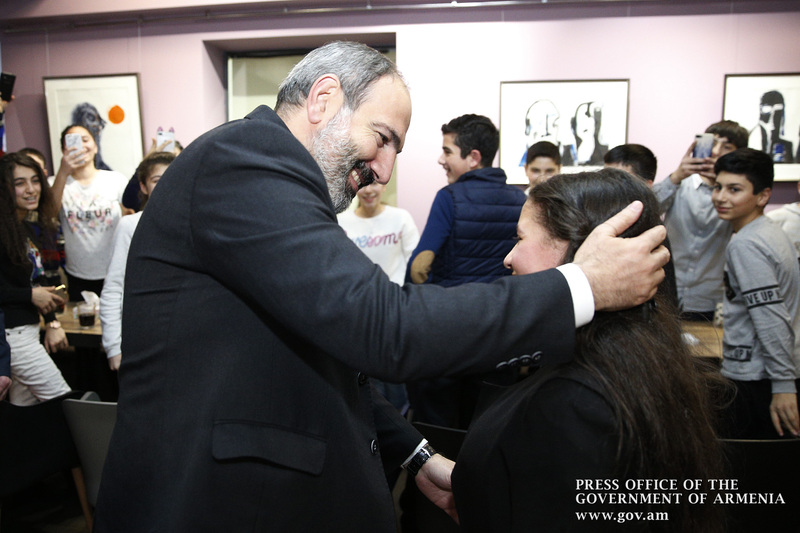 How could I say that I had left Armenia but did not flee my homeland? The only option was to say that I was going back to Armenia. The idea of the novel is that there is a string that I go to from the Myasnikyan statue to the Liberty Square and just go from the opposite side of the country. There is a line which states that “there is another way - a shorter way - but who said that the shortest way is always the right way.” The longer way may sometimes turn out to be the right path, and that is why the country should go the other way, from the opposite side. The next most important point was to make believe that you were traveling around the world while you were locked up in Aresh. Writing a book – literature – was the only option. In essence, the whole journey is a series of readings, and a dialogue with literary heroes. 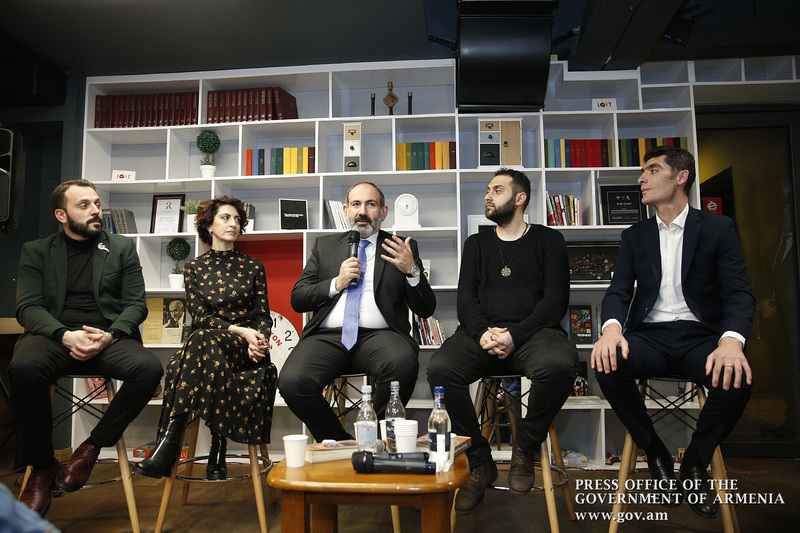 For example, all those episodes related to Georgia were drawn up from Nodar Dumbadze’s literature that I had read during that time. From Georgia to Greece are the parables of Aesop, and the dialogues on the ship are entirely the fables of Aesop. The wise old man in Armenia was Toumanyan and Toumanyan accompanied the hero from Greece to Macedonia with the help of Marco. Marko is the hero of the Serbian epic, which Toumanyan translated and presented in Armenian. Later comes Kafka’s “Trial” because my situation was very similar to that described in the novel and so on, including Ernest Hemingway, Erich Maria Remark’s “Time to Live, Time to Die,” Walter Scott’s “Quentin Dorvard,” etc. The whole way obviously has to do with literature: Japanese literature, the Cuban part reflects my impressions from a book about Che Guevara, France - Charles de Gaulle and Francois Sagan’s “Hello Sadness,” Shuckshin and Gogol’s “Dead Souls,” because there was the logic of electoral fraud, and so on, that is, every segment is related to a particular literary work. These passages are interconnected with those sections representing my sovereign thoughts and my own texts that have been conceived in that very logic. An ethical question may arise here: Is anybody entitled to edit texts based on inspiration drawn up from foreign literature? In fact, I knew the answer to that question because there was an impressive literary work: I just was fond of Jorge Luis Borges’s “Pierre Menard - the author of Don Quixote,” where the hero re-wrote “Don Quixote” as he was convinced that his “Don Quixote” had nothing in common with Cervantes’s Don Quixote. 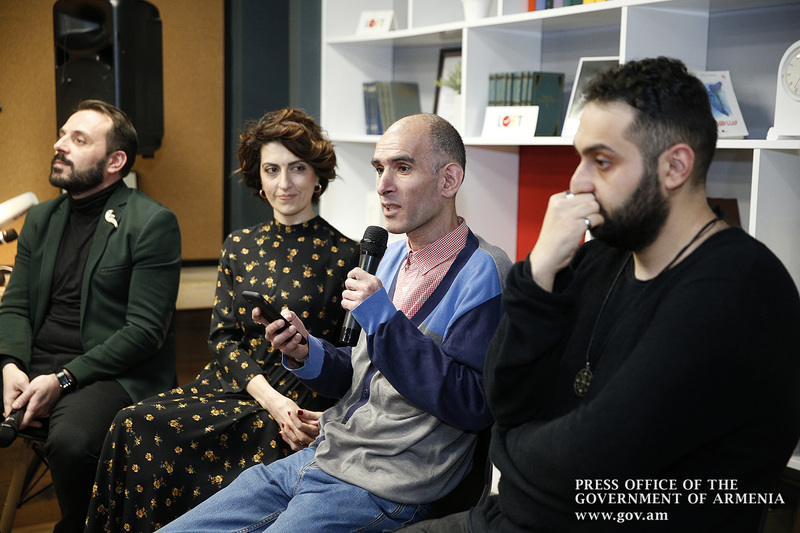 I felt myself in the position of Pierre Menard, who was going to become the author of the Trial, the author of Dumbadze’s novels and Aesop’s fables, and eventually the author of all other literary works. 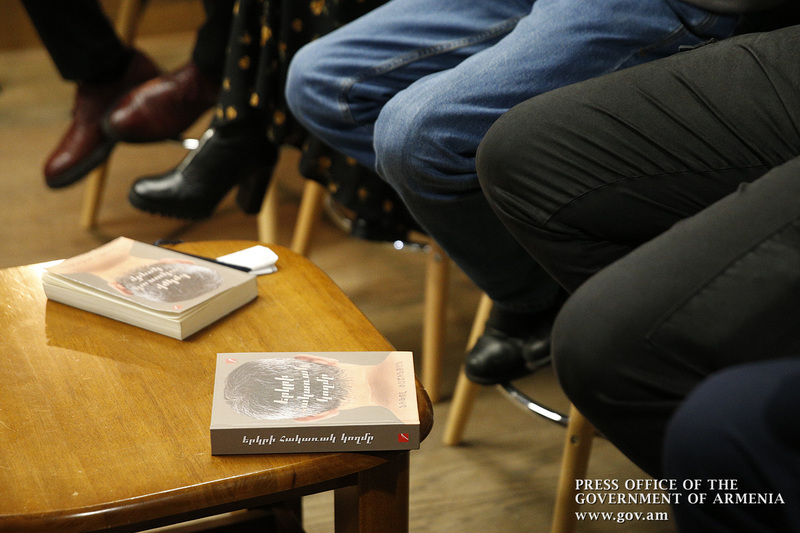 As soon as I left the underground, and subsequently – from prison, I was eager to have a book published and, finally, in 2011 when I came out of jail, the first thing I did was to think about what the cover of the book should be like. This photo I did in 2011, just a few months after leaving prison. 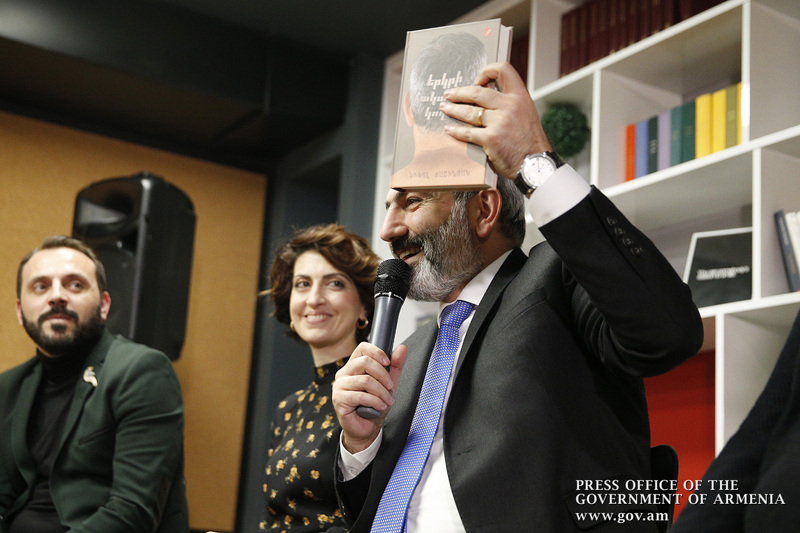 When I decided that the book had to be published, it made me feel that this was just a series of articles, and it was not worth being published as a book, it was not so good and so on. 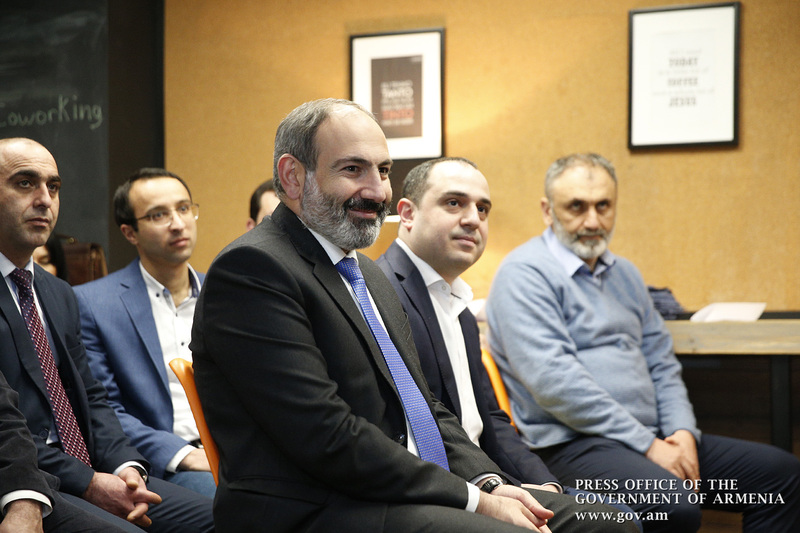 In 2018, when I was the leader of Yelk faction, Hayk Kostanyan asked me for a meeting as stated on the back of the book. We met, he told me to let him publish the book. I am sorry, but at the moment I did not trust him as a publisher in any way. On the other hand, I wondered whether it was worth being published. I said that before answering that question that I needed to read the book in order to understand what it was about. And when I read the book, I had the impression of having written a letter to myself 10 years ago, that is, it seemed to be a monologue and not a story. My reading resulted in ‘The Fairy Tale of Evil House,” which depicted a situation when the building of the National Assembly, the office of the head of Yelk faction had ripped all the values described there, that is they had swept away my memory in the sense that I could not remember my own mission and the task that was to be addressed? The reading of this book revived the idea of action in my mind. And, of course, the book became the main motive for action. The idea that all the problems in the book are practically solved is somewhat true, with a difference. 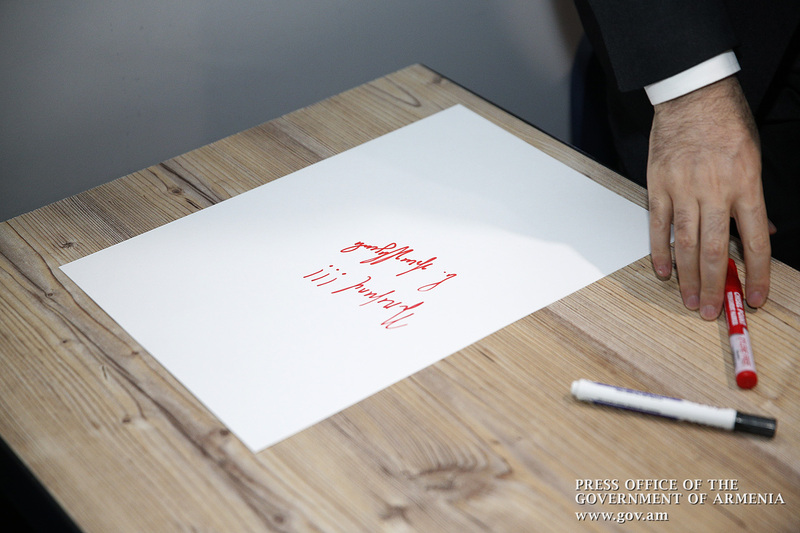 It is very likely that what is written here is likely to be continued; like the rotation of the globe, it has a permanent orbit, and it turns into an orbit. Why do I say this? Because in this book there is a chapter entitled “What does this jailer do?” The chapter states the fact that I continued to be jailed in the office of editor-in-chief, there are some visible and invisible guards, and I drag along with me the prison cell all the way traveling around the globe, and as a matter of fact, I am in prison again. To be honest, a few days ago I was thinking that I was in prison again. Why now more than ever before: just because now I am in a single place, working in a workroom where even a window cannot be opened in order to let me breathe fresh air. I am sorry to mention it, but wherever I go, I am accompanied by armed men from the State Guard Service. 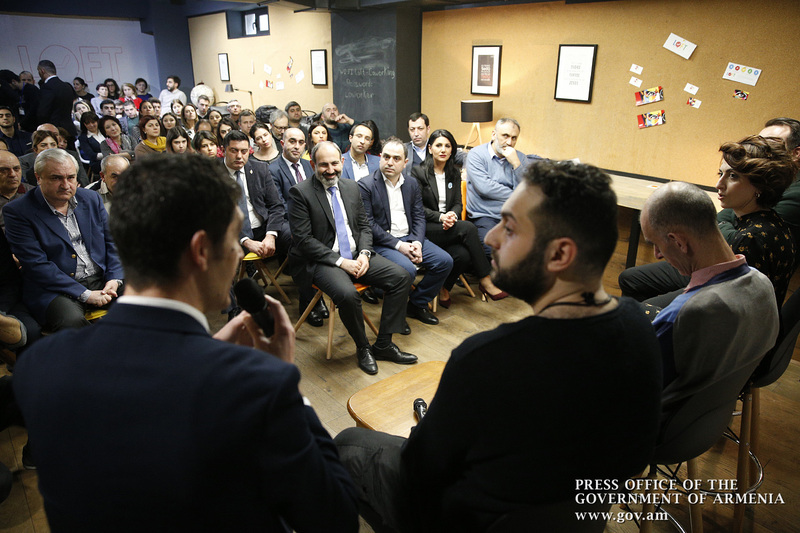 Here, the picture will be more memorable if I tell you that when I was in prison, one of my friends worked at the Yerevan Penitentiary. He used to open the door every day, see me to my exam at the university. Now he is part of my bodyguard and continues to keep me on track and watch over my safety. As far as the book cover is concerned, I even came to believe that it was not accidental that I chose this option. Of course, the motivation was that I had the whole journey in my head, but maybe those associations are coming back again. As described in the book, everything was improvised from the offset, that is, I once became an improvised fugitive, and now I am an improvised prime minister. The “Forgive me my son” passage stems from the logic that emerged after my becoming Prime Minister. The question is whether I am now in hiding or not! Now, in fact, I am in hiding because I live in a place that is a kind of underground, where you cannot communicate with people: I live in a government mansion that is like the underground. I am currently communicating with people in the same way as when being in hiding; again, I am writing texts and speeches. 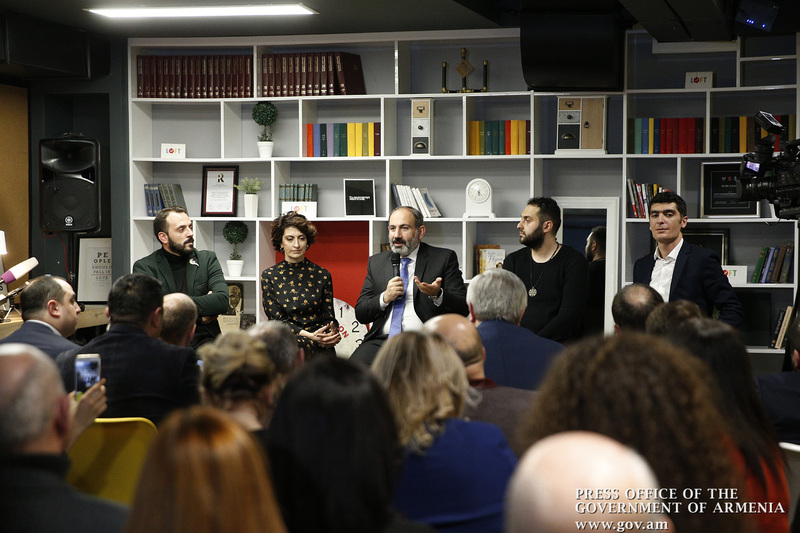 Then Nikol Pashinyan answered the questions of the participants in the discussion. 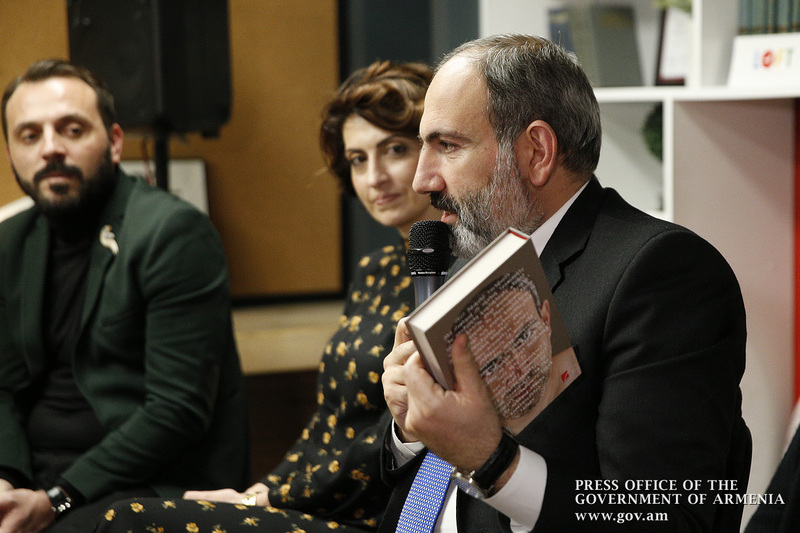 In particular, the chapter of Nikol Pashinyan’s book “The Other Side of the Country” about Che Guevara, which says that the real revolutionary is a destructive force, after which new structures should appear, and the real revolutionary never comes to power. 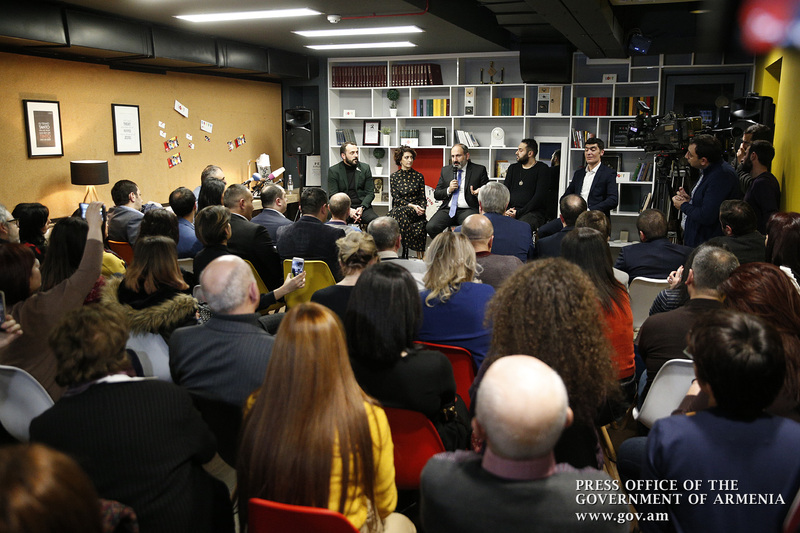 To the question about his current feelings and thinking in this context, the Prime Minister replied: “This is one of the most important questions as it is just what I meant in writing the book. I finished reading the text in February 2018. 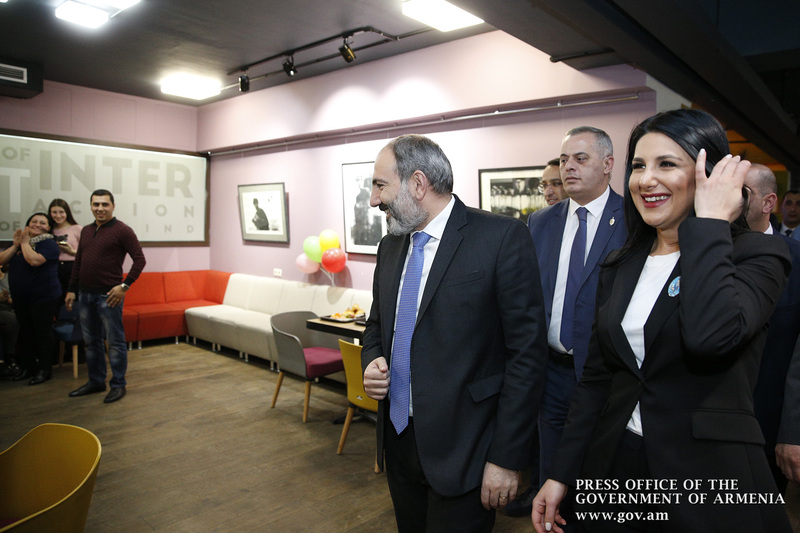 Naturally, my impression was still fresh 2 months later, and when April came, and it became clear that Serzh Sargsyan had resigned, and when there was the slogan “Nikol - Prime Ministers,” the text kept sounding in my mind. I was thinking about the formula of the revolution that was written, and what exactly I should do in this situation. Of course, I thought that in this situation, when the first stage was over, I had to take my backpack and go home since my revolutionary mission was over. 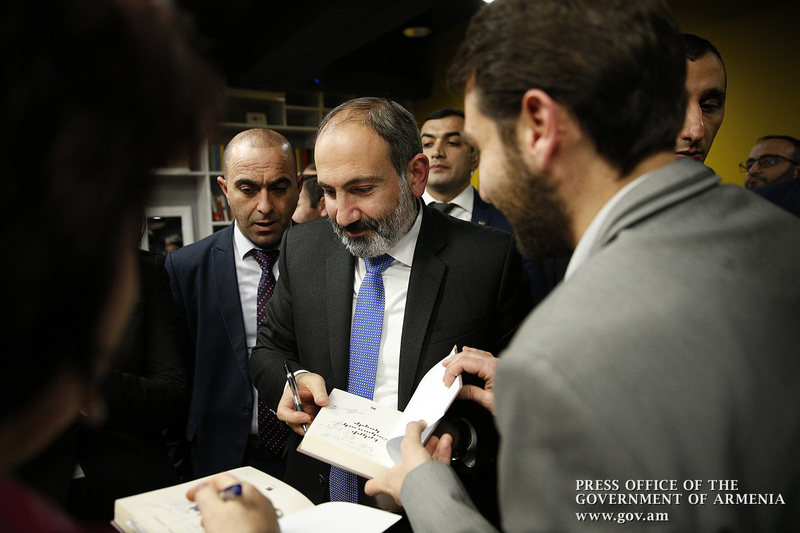 According to Nikol Pashinyan, the main message of The Other Side of the Country is that an individual effort and the action of just one person may have a global impact on everything: “The most important leitmotif of this book is the following: to show the global impact of the path covered by a man. It is obvious to me that if the book had not been written at the end of 2017 and the beginning of 2018, maybe I would not have behaved in the same way. 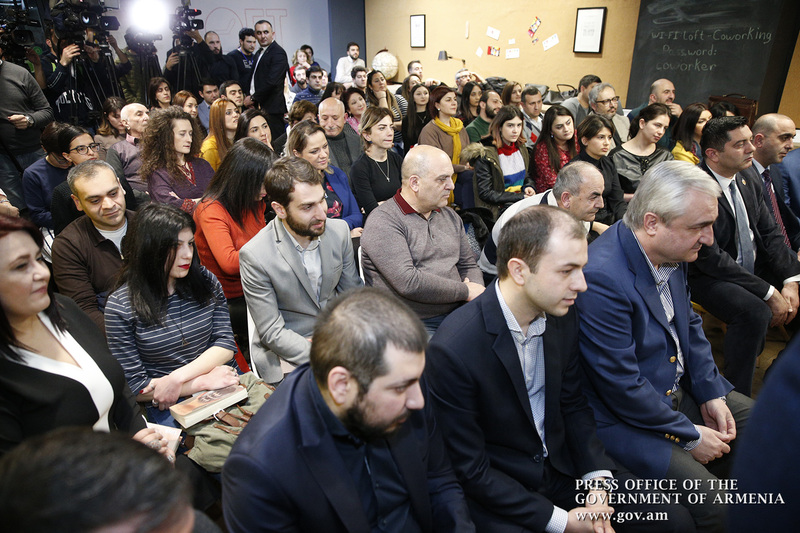 On my Facebook page I proclaimed 2016 the year of Armenian literature readings, because I felt that the commonly circulated information flows did not give answers to the reality. 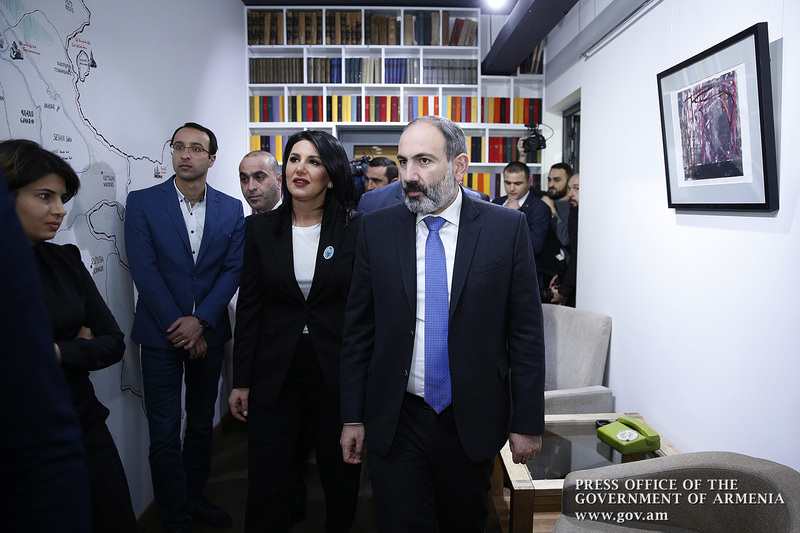 The Prime Minister expressed confidence that solutions to today’s problems can be found in the texts of modern writers, and urged others to read more contemporary Armenian writers. 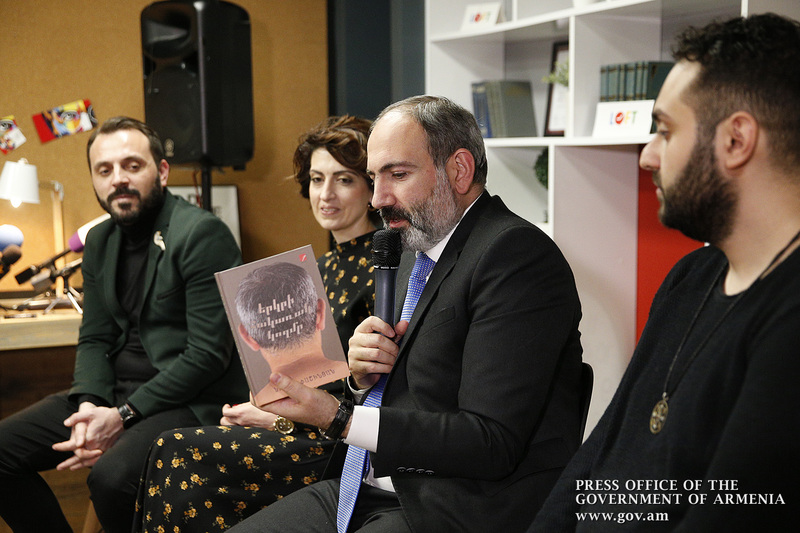 “Those books by modern writers that I have read make me realize that we have a wonderful generation of talented writers, and that literature in Armenia has seen a great revival over the past 10 years, which we are not yet aware of,” Nikol Pashinyan concluded. 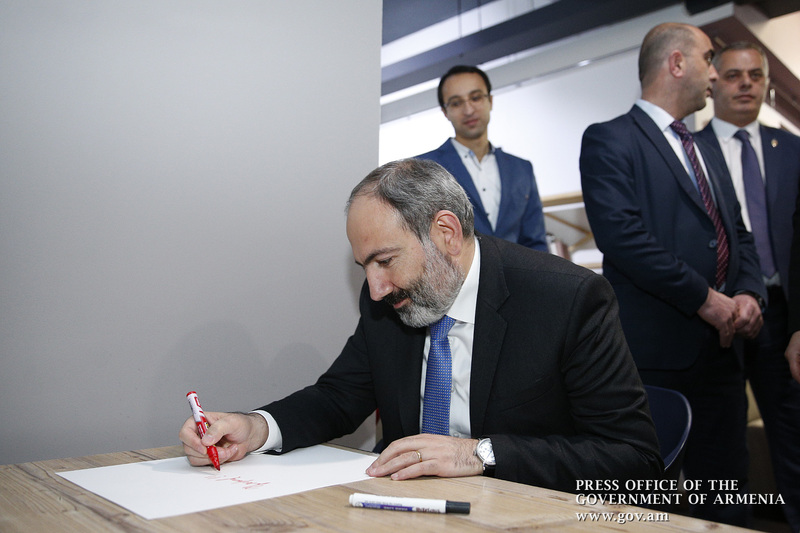 The Prime Minister also said that he is currently working on his prison diary, and devotes 10-20 minutes a day to it.